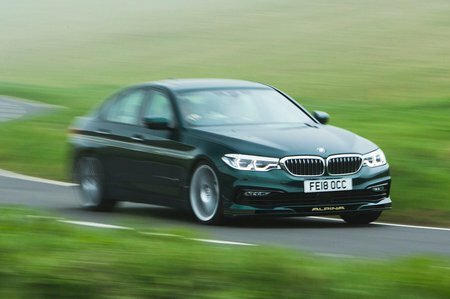 Alpina B5 Review 2019 | What Car? We can only imagine that some high-ups at Alpina know where the bodies are buried at BMW. Okay, that might sound a bit far-fetched, but how else do you explain the long-standing and happy partnership between one of the world’s industrial leviathans and a pint-sized outfit like Alpina? It’s a relationship so entwined that Alpina is allowed to infiltrate BMW’s production process and spirit away all of the constituent parts required to build a whole range of cars. What’s more, these are cars that provide direct competition to BMW’s top-end performance variants. 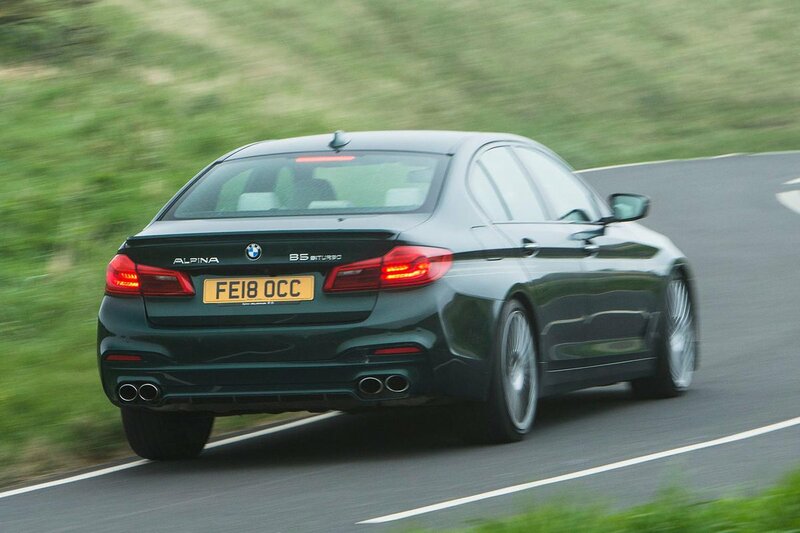 Take the Alpina B5 saloon. Sure, Alpina will gladly rob sales from super-saloons such as the Mercedes-AMG E63 and hot versions of the Porsche Panamera, but that also means the B5 is a bang-to-rights rival to the current BMW M5 – and, to within a couple of thousand quid, it’s priced accordingly. Yes, the M5’s Botoxed bumpers and chiselled mirror housings give the car a more ripped appearance than Alpina’s more conservative rendition of the 5 Series saloon, but the B5 is not without its own embellishments, including optional slender pin-stripe decals, Alpina emblems and those iconic sundial alloy wheels. There’s also a fair bit of mechanical symbiosis going on. Both cars employ twin-turbocharged V8 engines and both use four-wheel steering and traction-enhancing four-wheel drive, along with mind-boggling terabytes of electronic intervention systems, in an effort to maximise power delivery and enhance cornering stability. This can only be a good thing, given the lurid performance – the B5 will thunder to 62mph 3.5sec and will best 200mph, making it faster than the M5. Read on to find out if the B5 is worth choosing over its BMW cousin and, indeed, other super-saloons.